Flickstream Is The Home For Hard To Find Film, Delivered Directly To Your Streaming Device. No Subscription, No Fees. 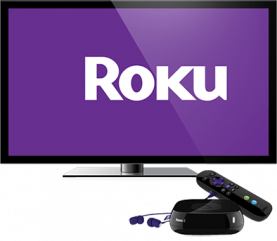 Awesome channels available for free on Roku, FireTV and Apple TV. Available free on Roku, Fire TV and Apple TV. Get the popcorn ready because there are some zombies, space aliens, and classic spooky guys waiting for you here. Hundreds of Horror, Science Fiction, Grindhouse, and Action movies available on demand. Free from Flickstream. Available free on Roku, Fire TV and Apple TV. Flickstream is proud to bring you a rotating collection of classic kung fu movies. Put on your favorite white robe, wrap a neck tie around your head, and pretend to speak out of sync while practicing your best round-house kicks! Available free on Roku, Fire TV and Apple TV. Sporting spurs and ten gallon hats, these classic westerns will have you dreaming of the open range. Hundreds of classic and Italian spaghetti westerns available on demand. Free from Flickstream. Available free on Roku, Fire TV and Apple TV. Go back in time to the golden age of TV and cinema with this ever changing lineup of hundreds of classic video available on demand from Flickstream.com. Available free on Roku, Fire TV and Apple TV. Flickstream TV Nature features hundreds of great nature documentaries all streamed in a live format to your Roku device. Its all free and available to watch whenever you want. Enjoy streaming with no subscription, no fees and no login required. Just great film with less commercials than TV. Available free on Roku, Fire TV and Apple TV. Flickstream TV Cars features hundreds of car and hotrod movies all streamed in a live format to your Roku device. The channel is free and available to watch whenever you want. Enjoy with no subscription. No fees no login required. Great film with less commercials than broadcast TV. Available free on Roku, Fire TV and Apple TV. Flickstream TV War features hundreds of the war films of all time streamed in a live format to your Roku device. It's all free. Enjoy streaming with no subscription. No fees and no login required. Just great entertainment with fewer commercials than broadcast tv. Available free on Roku, Fire TV and Apple TV. Flickstream TV Grindhouse features hundreds of the Grindhouse movies from the 70's and 80's all streamed in a live format to your Roku device. It's all free and available to watch whenever you want. Enjoy streaming with no subscription. No fees and no login required. Available free on Roku, Fire TV and Apple TV. Flickstream TV Russia features hundreds of Russian language films all streamed in a live format to your Roku device. All free and available to watch whenever you want. Enjoy streaming with no subscription. No fees and no login required. Just great film with less commercials than broadcast tv. Available free on Roku, Fire TV and Apple TV. Flickstream TV Film Noir features hundreds of the classic black and white films streamed in a live format to your Roku device. It's all free! Enjoy streaming with no subscription. No fees. And no login required. Just great entertainment with fewer commercials than broadcast tv. Available free on Roku, Fire TV and Apple TV. Flickstream TV Concerts features hundreds of the best live performances of all time streamed in a live format to your Roku device. It's all free! Enjoy streaming with no subscription. No fees, and no login required. Just great entertainment with fewer commercials than broadcast tv. Available free on Roku, Fire TV and Apple TV. Flickstream TV Spaghetti Westers features hundreds of the best Italian Western movies from the 60's, 70's and 80's all streamed in a live format to your Roku device. It's all free and available to watch whenever you want. Enjoy streaming with no subscription. No fees and no login required. Available free on Roku, Fire TV and Apple TV. Flickstream TV Kung Fu features hundreds of Kung-Fu classic movies from the 70's and 80's all streamed in a live format to your Roku device. It's all free and available to watch whenever you want. Enjoy streaming with no subscription. No fees and no login required, and less commercials than broadcast tv. Available free on Roku, Fire TV and Apple TV. Flickstream TV SkateLife features hundreds of the best skateboarding movies from the 80's and 90's all streamed in a live format to your Roku device. It's all free and available to watch whenever you want. Enjoy streaming with no subscription. No fees and no login required. Just great film with less commercials than broadcast tv..
Motorcycle and Chopper Culture. Adventure motorcycling, Harley Davidsons, travel videos, motorcycle build videos.